IEDEI buys a new car! Apologies for not updating this Sunday, however I was too busy enjoying the hell out of my new car buying experience! Car shopping has been a very enjoyable experience. I must admit that I only posted 3 of my favourite cars I reviewed, however there were many others which I ended up testing but never wrote a review on. 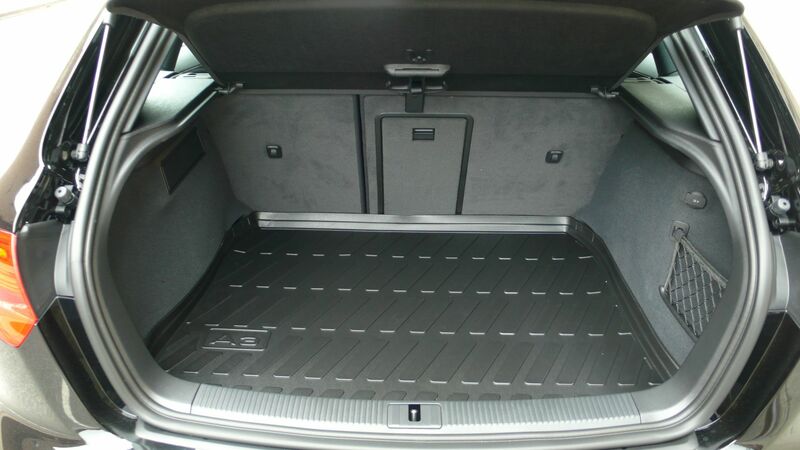 Some of the others included: Subaru WRX, Mercedes C300, VW GTI, Audi A4, BMW 135i, Audi RS6 (C5), and a few more. I really enjoyed the Evo 10, and honestly it was the best performing car I drove amongst all of them—however I could get past the vulgarity of it, the subwoofer and battery filling up the trunk, and the poor mileage (15-20mpg). The Audi S4 was a superbly nice car to sit in and drive, however it felt too imposing for me and too large. I liked it, but I didn’t love it. The BMW 335i was a decent package which sort of occupied the middle of the road here. In my decision making process, I really started to understand why I really didn’t want any of those cars—–because they were either too big, not enough fun, OR not built well enough. 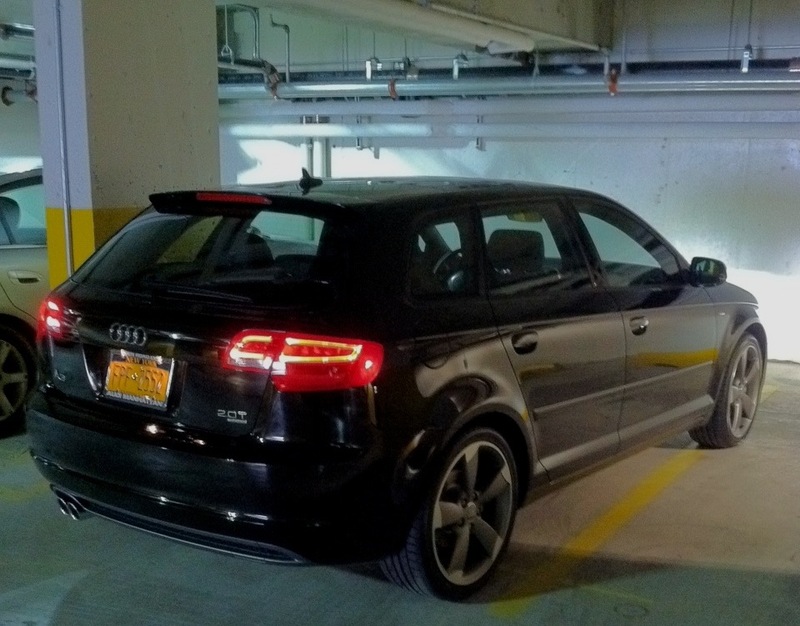 2 years ago, my wife and I had driven to an Audi dealership to drive (and buy) an Audi A3. We both loved the car, however we couldn’t really afford to buy one new at the time. Now, we were able to afford one, so that’s exactly what i’ve done. The car wasn’t easy to find in the spec I wanted, as there was only ONE car in this spec arriving in the USA this month. I found that car, and had to really do some hustling to get it before somebody else did. I picked up the car on saturday morning. I have not stopped smiling every since! It is such a riot to drive, and I am so impressed by its agility, composure, handling, acceleration, and its overall build quality. 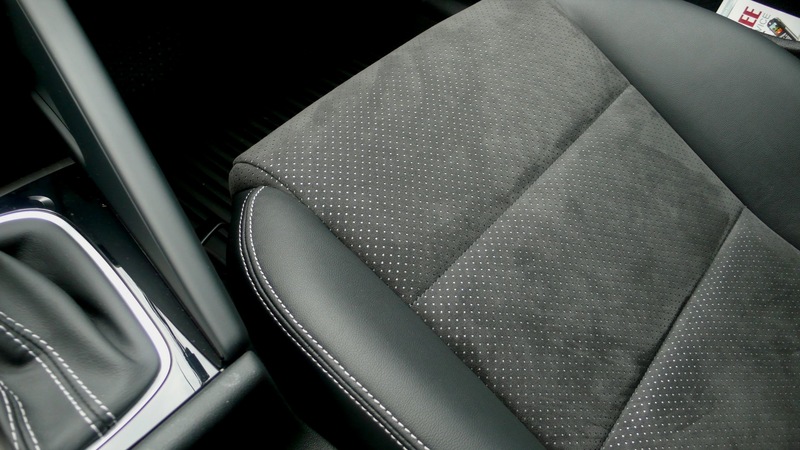 The car feels extremely well built, each door closes with a german ‘thud’, and every time i get into the special leather & perforated alcantara seats and wrap my hands around the thick perforated leather steering wheel—the car feels very special. 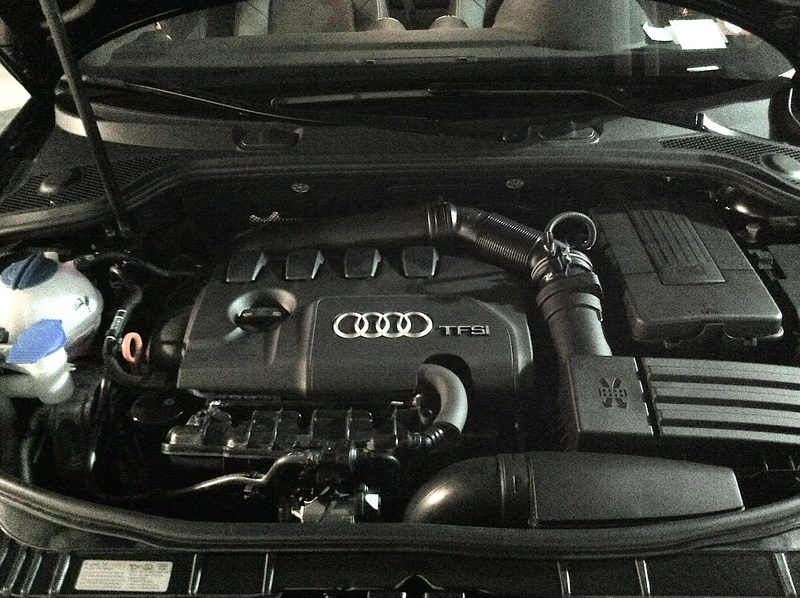 Audi states the mfg 0-60 times of 6.7 seconds, although it feels very quick—even quicker than that. The quattro system keeps all the 200hp useable and you feel huge amounts of grip in the corners. A $500 ECU ‘reflash’ adds 50hp and 100+lb/fut torque. What a car though…..i’m enjoying every minute of it! There were other cars I tested which were faster or more capable performers than the A3, however none of them offered the entire package of style and substance like the A3 does—–and none of them made me happy like the A3 does! 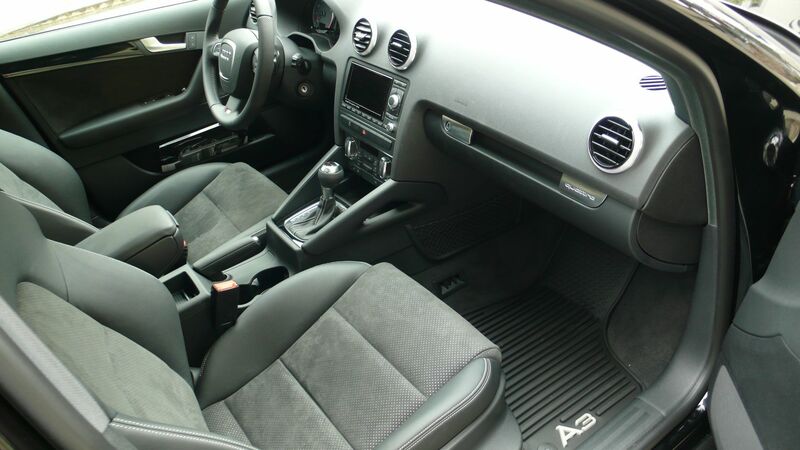 The interior of the car is just downright fantastic, and really impresses me with its final attention to detail (white stitching on dark grey leather with perforated alcantara inserts) and materials. 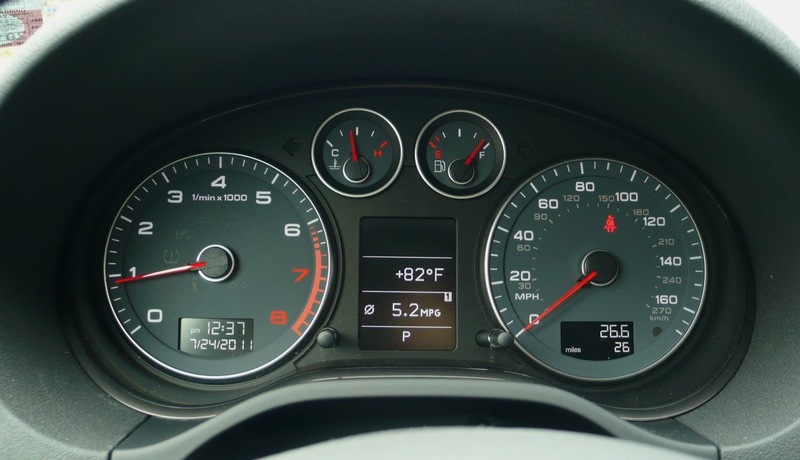 The layout is minimalist and very easy to use—especially since much of it was modeled after my other car, the MK1 TT. The ‘sport’ seats are better than I expected, with nice big bolsters on the sides and on the shoulders. I had never seen these seats in person before, but was highly pleased with them on the car. The RNS-E updated Navigation system is very easy to use, and being someone who isn’t particularly tech savvy when it comes to connecting devices, I have found the bluetooth connectivity to my iPhone to be remarkably easy to use and intuitive. Let me be honest by saying that NO Audi is ‘cheap’ to buy, and I spent a significant amount of money getting the car in exactly the spec I wanted to—–but I will say that after driving this since Saturday, I think the car definitely feels or exceeds its price in every way. There is a level of build quality and thoughtfulness throughout the design which exceeds my expectations. 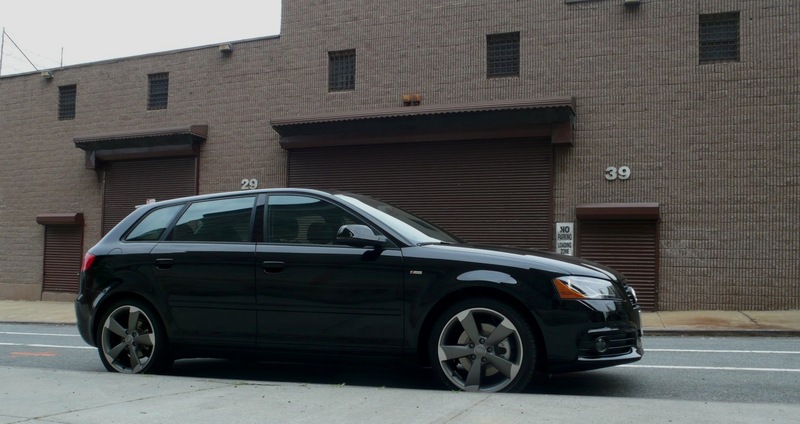 This 8P generation of the Audi A3 has been around for several years now, first debut’ing in the US market back in 2006. However I think the design of the car is just wonderful, and harks back to the older days of Audi, when they were a bit more understated and boxy. The headlights and taillights are truly a work of art, with LEDs present on both ends and bixenon headlights rolling in the front. Notice that the Titanium sport package removes the ‘chrome’ outline around the large modern Audi single frame grille design, making the grille far more subtle and not so ‘bling’—-something i wanted as a priority on this car. I think the blackened grille surround really adds to the appeal of the front end. Driving wise, I am really enjoying the hell out of the car. 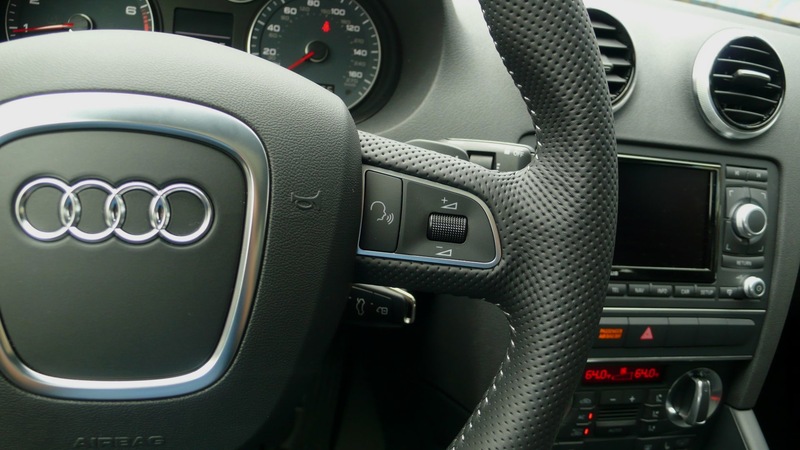 The S-tronic/DSG (dual clutch transmission) is unbelievable….and after years of driving manual gearboxes, I am truly amazed by the performance which can be transmitted to the road with the DSG. While there are great amounts of satisfaction in pressing a clutch and shifting a gear on a manual transmission car–I am finding great satisfaction of having both hands on the wheel and getting an instant, race car-like shift using the paddle shifters on the back of the steering wheel. This is not an automatic transmission, it is a truly automated manual transmission utilizing clutches (2 of them) just like a manual transmission would—-the difference is that the box is electronically controlled and you press the paddles without the use of a clutch everytime you shift. If you haven’t tried this gearbox out, you must do so! There is a level of control which I have never felt in all of my years in driving manuals. The handling on the A3 quattro is superb, very sure footed and very firm with great levels of grip on the 18″ special RS titanium and silver wheels. I have already flung the car into corners with great composure, and the stiffened sport package springs keeping everything neutral and alive. The steering feel is among the best i’ve felt in an Audi. I am the first to admit that the big weakness in most Audis I have driven has been steering response; in my TT I actually modified the car to with new control arms bushings to improve the response, which it did dramatically. 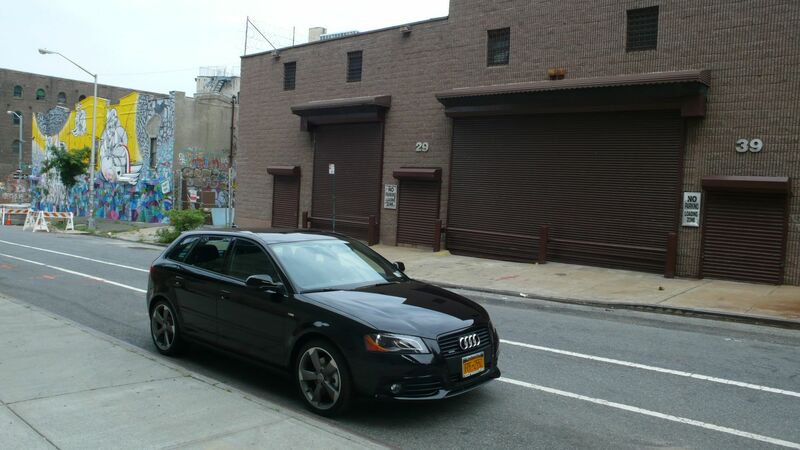 The A3, on the other hand, feels great right out of the box. 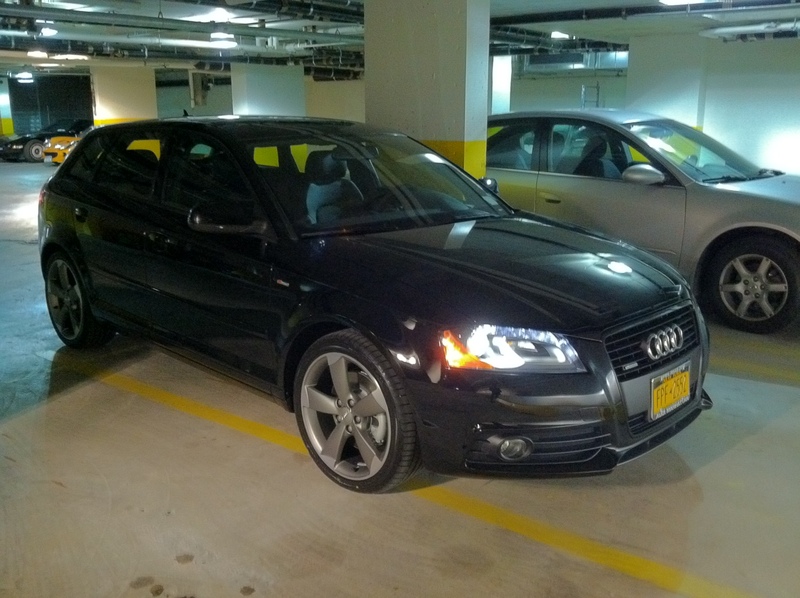 So there it is….my first new car! 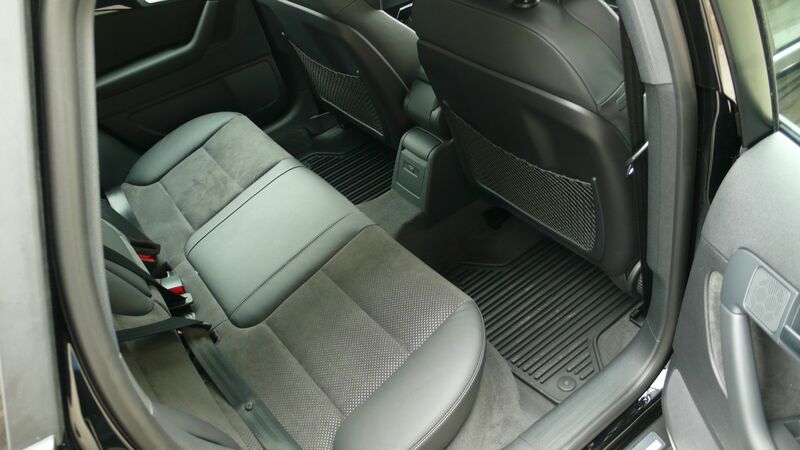 I can’t tell you how great the feeling is of getting in the car and smelling the freshness of that ‘new car smell’….it is one of the great joys of life IMO! To know that nobody else has owned it or driven it before. 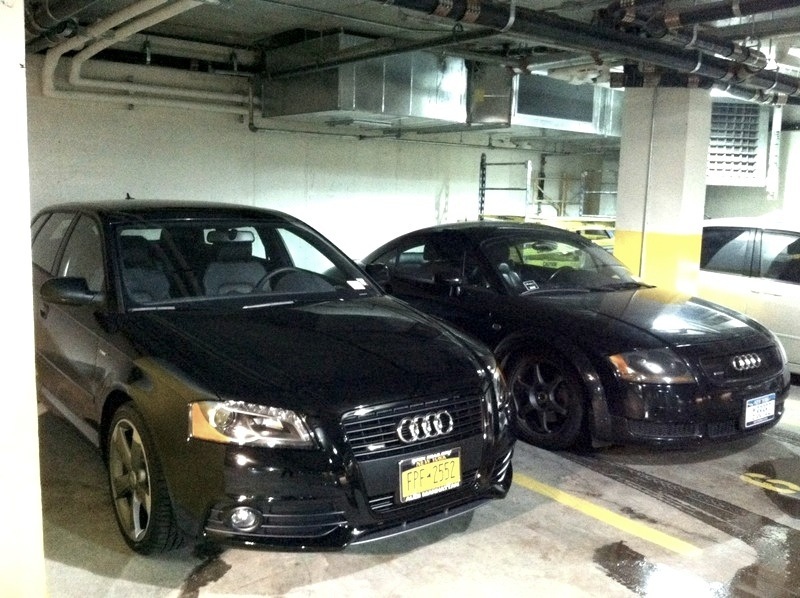 I also can’t tell you how happy it makes me to look in my garage spot now and see the A3 and the TT sitting together, dressed in black. Behold, the beginning of the IEDEI AUTO HAREM!